Singha R-SA was founded in 2011 and started accepting international volunteers in 2014. They work in numerous localities in Thailand, as well as the wider ASEAN region, providing flood and drought relief and implementing a vast number of community development projects. Jungle Aid‘s mission is to provide medical aid, education, support and micro-business opportunities to improve the lives of people living in remote locations in and around Thailand. Many of the communities they support have extremely restricted resources which means that it is a constant struggle to feed their families, find clean drinking water or access even a basic level of healthcare. Location: Phetchaburi, Prachuap Khiri Khan, Chumphon. Gibbon Rehabilitation Project works to rehabilitate unwanted or confiscated gibbons from the pet trade and tourist industry and, whenever possible, reintroduces suitable candidates back into the wild. Thai Child Development Foundation supports underprivileged children, who live in the mountainous area of Phato, in developing their growth toward future independence by providing education and medical support. DinDang Natural Building and Living Center promotes natural and traditional techniques of building and the lifestyle that goes with it. The center works with both Thai and international volunteers in order to realize its current goal: to set up a learning and living center where all those interested in natural building techniques can find information and share their knowledge and ideas. 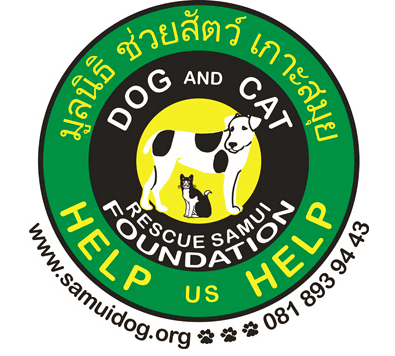 Dog and Cat Rescue Samui provides veterinary free of charge for all dogs and cats on Samui island. Lanta Animal Welfare’s objective is to relieve the suffering and pain of the animals on the island through sterilisation and care. 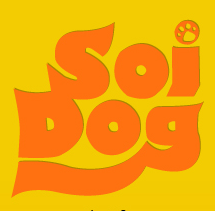 Soi Dog seeks to improve the welfare of dogs and cats in Thailand, resulting in better lives for both the animal and human communities, to end animal cruelty, and to ultimately create a society without homeless animals. Volunteer Teacher Thailand works with the local education authority within the Thai curriculum to provide quality lessons with the continuity and knowledge-building that the children need. It is completely volunteer-based. Asalanta seeks to contribute to the development of alternative education in order to set forth the positive changes that the world and humanity desperately need. Their mission is to develop new solutions that will work for the benefit of all: for example, organic agriculture and permaculture experiments, and the generation of alternative energy like bio gas, bio fuel, solar or wind energy. Baan San Fan’s primary role is to provide a place where vulnerable children can come and receive the care and attention which they need. The original orphanage was formed after the tsunami but those children have now grown up and the newest additions normally come because their families have financial problems (often related to addictions) and can no longer provide or care for them. Mabprachan Animal Shelter are a private shelter & refuge for currently 350 dogs & 35 cats. All animals have been rescued out of emergency situations. Penny’s Homestay helps facilitate volunteer teaching opportunities in local Thai Primary and Secondary Schools. This is a unique opportunity to learn how to teach and pass on your knowledge to a new generation of learners in Thailand. Phuket Has Been Good To Us works to improve the economic opportunities and life chances of young people, by funding and implementing high quality, practical English language education in government schools on Phuket Island. They create vocational opportunities by developing English skills both through formal education as well as after school and non curricula activities. Step Ahead works with poor and at-risk families across Thailand- from Bangkok’s largest slum to Southern and Northeastern small rural villages. They deliver new economic opportunities and keep families together by helping them discover their own best solutions through Community Economic Development, Alternative Orphan Care, Child Development Centers, Mentoring, and Training. I AM LEAVING THIS REPORT HERE AS A WARNING TO WOULD-BE VOLUNTEERS THAT NOTHING IS AS IT MIGHT SEEM FROM AN ORGANISATION’S WEBSITE. ElephantsWorld is a sanctuary for sick, old, disabled, abused and rescued elephants, where they receive the rest and joy that they deserve.